Carry everything you need in comfort and style with this adidas Classic Urban Back Pack in Black, Black and White. 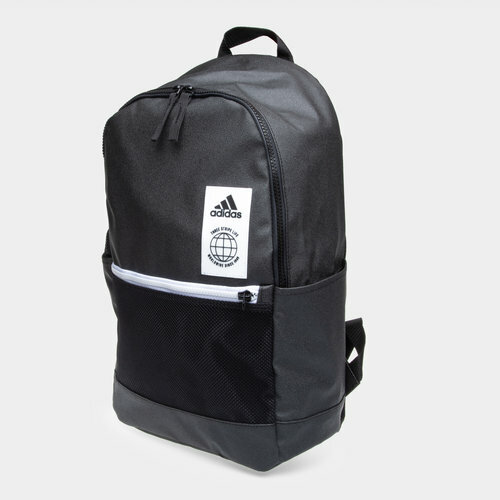 This durable backpack from adidas is the perfect bag to carry all of your belongings. With small pockets for water bottles and essentials, this bag has an air mesh back panel providing ventilated comfort. The interior divider is helpful to help keep you organised whilst the padded, adjustable straps help you carry this backpack with ease.